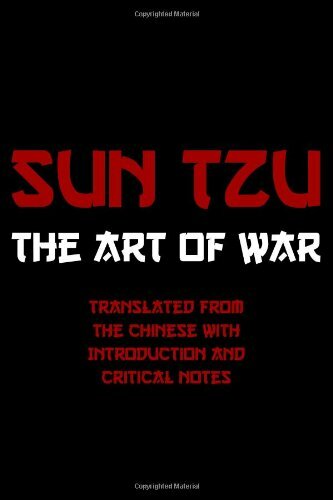 9781530575374 | Bilingual edition (Createspace Independent Pub, March 22, 2016), cover price $7.99 | also contains The Art of War, The Art of War | About this edition: This deluxe edition of The Art of War by Sun Tzu features both English and Chinese side by side for easy reference and bilingual support. 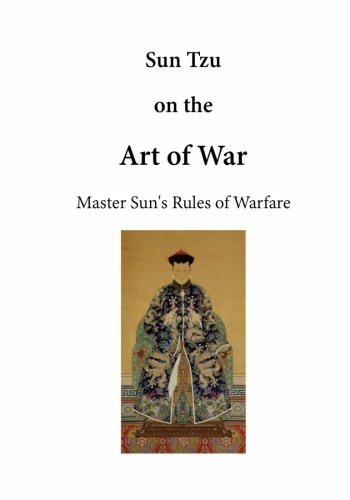 9781523963980, titled "Art of War" | Createspace Independent Pub, February 9, 2016, cover price $5.39 | also contains The Art of War, The Art of War | About this edition: Conflict is an inevitable part of life, according to this ancient Chinese classic of strategy, but everything necessary to deal with conflict wisely, honorably, victoriously, is already present within us. 9781523680085 | Createspace Independent Pub, January 29, 2016, cover price $8.99 | also contains The Art of War, The Art of War | About this edition: The Art of War is a Chinese military treatise that was written during the 6th century BC by Sun Tzu. 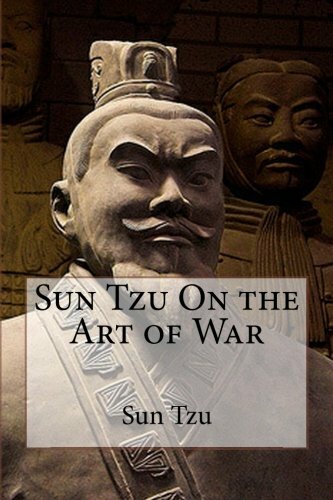 9781518830792 | Annotated edition (Createspace Independent Pub, October 29, 2015), cover price $5.99 | also contains The Art of War, The Art of War | About this edition: The Art of War is an ancient Chinese military treatise attributed to Sun Tzu, a high-ranking military general, strategist and tactician, and kindred to the Realpolitik of his time, termed in China as Legalism. 9781435136502 | Gardners Books, December 12, 2012, cover price $8.05 | also contains Art of War, The Art Of War, The Art of War, The Art of War, The Art of War, The Art of War, The Art of War | About this edition: Handsomely produced in hardcover at a very affordable price, Barnes & Noble Signature Editions have been carefully edited and reset in a modern design for greater readability. 9781907446788 | New tra bl edition (Amber, September 19, 2011), cover price $19.95 | also contains Art of War, The Art Of War, The Art of War, The Art of War, The Art of War, The Art of War, The Art of War | About this edition: Written in the 6th century BC, Sun Tzu’s The Art of War is still used as a book of military strategy today. 9781604593556 | Deluxe edition (Wilder Pubns Ltd, May 30, 2008), cover price $14.95 | also contains The Art of War | About this edition: This is the most important book ever written about warfare and conflict. 9781519598554 | Createspace Independent Pub, November 30, 2015, cover price $9.99 | also contains Art of War, The Art Of War, The Art of War, The Art of War, The Art of War, The Art of War, The Art of War | About this edition: The Art of War is a Chinese military treatise that was written by Sun Tzu in the 6th century BC. 9781598958195 | Unabridged edition (Findaway World Llc, February 12, 2007), cover price $29.99 | also contains The Art Of War, The Art of War, The Art of War, The Art of War | About this edition: Written 2,500 years ago, Sun Tzuâs The Art of War continues to exert an extraordinary influence on modern readers. 9781455161706 | Mp3 una edition (Blackstone Audio Inc, July 1, 2013), cover price $29.95 | also contains Art of War, The Art Of War, The Art of War, The Art of War, The Art of War, The Art of War, The Art of War | About this edition: [This is the MP3CD audiobook format in vinyl case. 9781455161690 | Unabridged edition (Blackstone Audio Inc, July 1, 2013), cover price $19.95 | also contains Art of War, The Art Of War, The Art of War, The Art of War, The Art of War, The Art of War, The Art of War | About this edition: This ancient Chinese military treatise is a classic work of nonfiction that is still widely read for its military insights. 9781610450638 | Unabridged edition (Echristian, October 1, 2010), cover price $10.98 | also contains Art of War, The Art Of War, The Art of War, The Art of War, The Art of War, The Art of War, The Art of War | About this edition: It is not too often one can read or listen to a 2600 year-old book and know that it still has relevance and importance today. 9781523294985 | Createspace Independent Pub, January 7, 2016, cover price $8.95 | About this edition: Sun Tzu on the Art of WarMaster Sun's Rules of WarfareTranslated from the Chinese with Introductionand Critical Notes by Lionel GilesThe Art of War, literally: "Master Sun's Rules of Warfare", is an ancient Chinese military treatise dating from the 5th century BC. 9781138863606 | Routledge, February 27, 2015, cover price $49.95 | About this edition: First Published in 2005. 9781492905523 | Bilingual edition (Createspace Independent Pub, October 4, 2013), cover price $15.95 | About this edition: After the advent of the 6th century B. 9781588276957 | Indypublish.Com, December 1, 2001, cover price $18.99 | About this edition: 2011 Reprint of 1940 Edition. 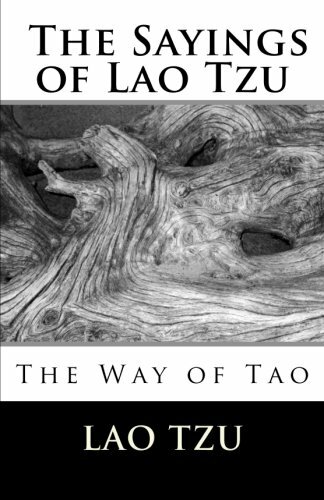 9781514219263 | Createspace Independent Pub, June 4, 2015, cover price $5.95 | About this edition: Tao Te Ching is a fundamental text for both philosophical and religious Taoism, and strongly influenced other schools, such as Legalism, Confucianism, and Chinese Buddhism, which when first introduced into China was largely interpreted through the use of Daoist words and concepts. 9781588276940 | Indypublish.Com, December 1, 2001, cover price $19.99 | About this edition: Sun Tzu's classic on military strategy is insightful and clear. 9781519649294 | Createspace Independent Pub, December 2, 2015, cover price $6.85 | About this edition: The Art of War presents a philosophy of war for managing conflicts and winning battles. 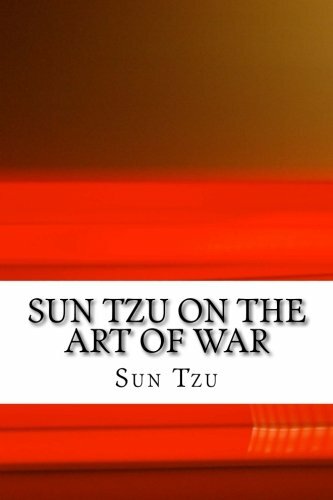 9781511586887 | Createspace Independent Pub, April 23, 2015, cover price $8.00 | also contains Sun Tzu on the Art of War: The Oldest Military Treatise in the World, Sun Tzu on the Art of War: The Oldest Military Treatise in the World, Sun Tzu on the Art of War: The Oldest Military Treatise in the World | About this edition: The Art of War is an ancient Chinese military treatise attributed to Sun Tzu, a high-ranking military general, strategist and tactician. 9781482356359 | Createspace Independent Pub, February 3, 2013, cover price $12.00 | also contains Sun Tzu on the Art of War: The Oldest Military Treatise in the World, Sun Tzu on the Art of War: The Oldest Military Treatise in the World, Sun Tzu on the Art of War: The Oldest Military Treatise in the World | About this edition: This volume is The Art of War by Sun Tzu. 9781460969120 | Createspace Independent Pub, March 17, 2011, cover price $9.99 | About this edition: Sun Tzu was a master at military tactics. 9781434499325 | Wildside Pr, February 28, 2008, cover price $24.95 | About this edition: Selections from the philosophy of Chuang Tzu. 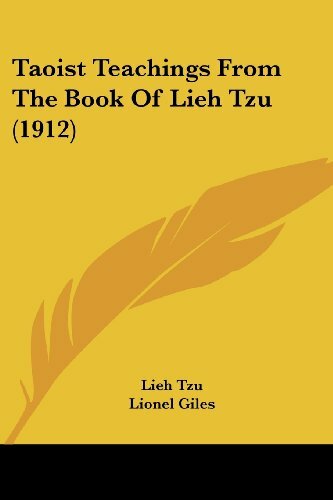 9781500422776 | Createspace Independent Pub, July 5, 2014, cover price $7.00 | About this edition: If Lao Tzu then had revolted against the growing artificiality of life in his day, a return to nature must have seemed doubly imperative to his disciple Chuang Tzu who flourished more than a couple of centuries later, when the bugbear of civilisation had steadily advanced. 9781434499318 | Wildside Pr, February 28, 2008, cover price $14.95 | About this edition: Selections from the philosophy of Chuang Tzu. 9781420928440 | Digireads.Com, January 30, 2007, cover price $19.99 | About this edition: "Musings of a Chinese Mystic" is a classic selection from the philosophical writings of Chuang Tzu, a disciple of the great Taoist philosopher Lao Tzu. 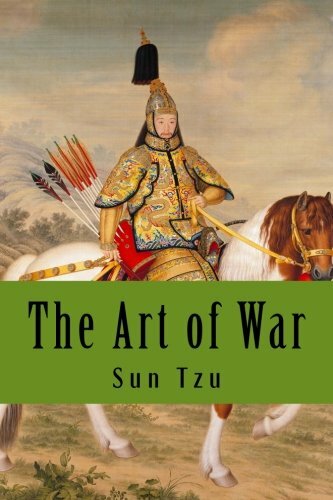 The Art of War is one of the oldest and most successful books on military strategy in the world. It has had a huge influence on Eastern military thinking, business tactics, and beyond. Sun Tzu recognized the importance of positioning in strategy and that position is affected both by objective conditions in the physical environment and the subjective opinions of competitive actors in that environment. He taught that strategy was not planning in the sense of working through a to-do list, but rather that it requires quick and appropriate responses to changing conditions. Planning works in a controlled environment, but in a competitive environment, competing plans collide, creating unexpected situations. 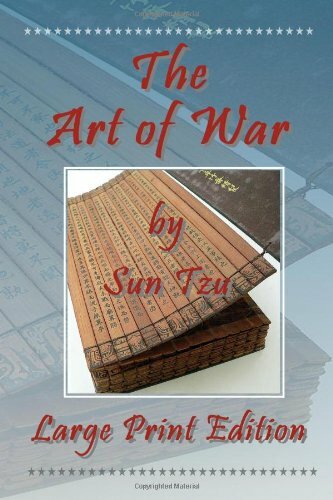 The Art of War has also been applied to business and managerial strategies. 9781615341191 | Reprint edition (Ezreads Publications Llc, March 30, 2009), cover price $29.99 | also contains The Art of War: The Oldest Military Treatise in the World | About this edition: The Art of War is one of the oldest and most successful books on military strategy in the world. 9780548923900 | Reprint edition (Kessinger Pub Co, June 30, 2008), cover price $42.95 | also contains The Art of War: The Oldest Military Treatise in the World | About this edition: This scarce antiquarian book is a facsimile reprint of the original. 9781615341177 | Reprint edition (Ezreads Publications Llc, March 30, 2009), cover price $8.99 | also contains The Art of War: The Oldest Military Treatise in the World | About this edition: The Art of War is one of the oldest and most successful books on military strategy in the world. 9780548609323 | Kessinger Pub Co, October 31, 2007, cover price $27.95 | also contains The Art of War: The Oldest Military Treatise in the World | About this edition: This scarce antiquarian book is a facsimile reprint of the original. 9789568355845 | Bnpublishing.Com, October 30, 2007, cover price $9.99 | also contains The Art of War: The Oldest Military Treatise in the World | About this edition: Known throughout history as one of the greatest works of military strategy, the Long River Press edition of The Art of War situates Sun Tzu's classic text as one of the greatest works of the Chinese philosophical canon. 9789562912488 | Bnpublishing.Com, April 30, 2007, cover price $14.99 | About this edition: In this paperback book you will find the link so you can download and start listen this great book. 9789568351953 | Bilingual edition (Bnpublishing.Com, May 30, 2007), cover price $19.99 | About this edition: The Art of War is one of the oldest books on military strategy in the world. 9789562911276 | Bnpublishing.Com, January 1, 2007, cover price $9.99 | About this edition: Known throughout history as one of the greatest works of military strategy, the Long River Press edition of The Art of War situates Sun Tzu's classic text as one of the greatest works of the Chinese philosophical canon. 2011 Reprint of 1940 Edition. Full facsimile of the original edition, not reproduced with Optical Recognition Software. Edited and Translated by Lionel Giles. The Art of War is attributed to Sun Tzu. It presents a philosophy of war for managing conflicts and winning battles. 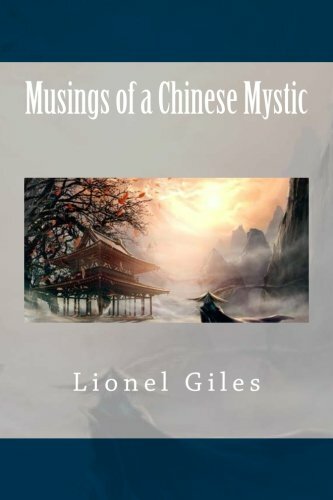 Some modern scholars believe that, contrary to popular belief, it contains not only the writings of the original author, but also commentary and clarifications from later military philosophers, such as Li Quan and Du Mu. It is accepted as a masterpiece on strategy and frequently cited and referred to by generals and theorists since it was first published, translated, and distributed internationally. 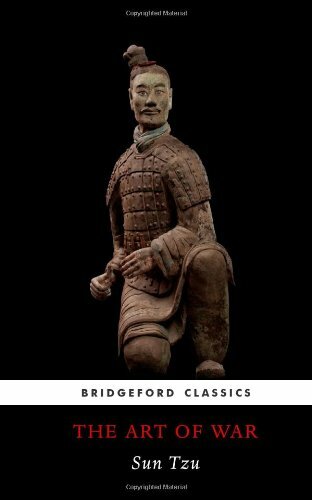 There are numerous theories concerning when the text was completed, and concerning the identity of the author or authors, but archeological recoveries have proven that the Art of War had roughly achieved its current form by at least the early Han dynasty. Sun Tzu was an ancient Chinese military general, strategist and philosopher who is traditionally believed, and who is most likely, to have authored the Art of War, an influential ancient Chinese book on military strategy. Sun Tzu has had a significant impact on Chinese and Asian history and culture, both as an author of the Art of War and through legend. During the 19th and 20th centuries, Sun Tzu's Art of War grew in popularity and saw practical use in Western society, and his work has continued to influence both Asian and Western culture and politics. 9789562912518 | Bilingual edition (Lightning Source Inc, April 30, 2007), cover price $19.95 | About this edition: 2011 Reprint of 1940 Edition. 9781492270973 | Createspace Independent Pub, August 29, 2013, cover price $5.50 | About this edition: "There is something, chaotic yet complete, which existed before Heaven and Earth. 9781492275596 | Large print edition (Createspace Independent Pub, August 29, 2013), cover price $5.50 | About this edition: "There is something, chaotic yet complete, which existed before Heaven and Earth. 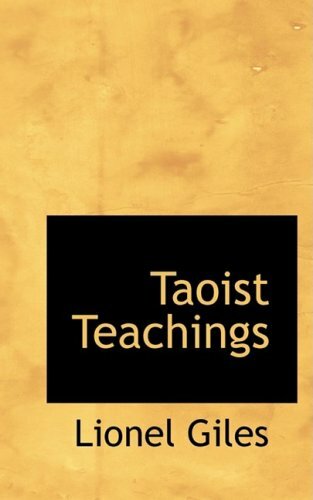 9781604593020 | Bklt edition (Wilder Pubns Ltd, April 30, 2008), cover price $6.99 | About this edition: The Tao which can be expressed in words is not the eternal Tao; the name which can be uttered is not its eternal name. 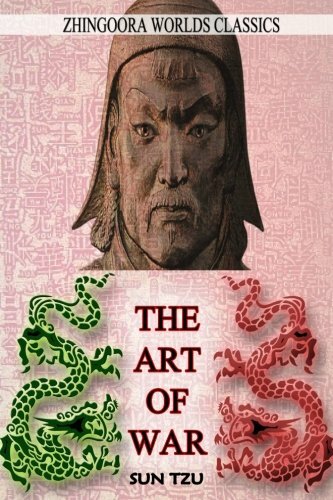 9781482686890, titled "Sun-Tzu The Art of War: Sun Tzu's the Art of War" | Italian edition edition (Createspace Independent Pub, March 2, 2013), cover price $7.77 | About this edition: The Art of War is an ancient Chinese military treatise attributed to Sun Tzu a high-ranking military general, strategist and tactician, and it was believed to have been compiled during the late Spring and Autumn period or early Warring States period. 9781479139750 | Createspace Independent Pub, September 12, 2012, cover price $12.50 | About this edition: Part I: The Thirteen Chapters by Sun Tzu Translation by Dr.
9781477449776 | Createspace Independent Pub, May 13, 2012, cover price $12.99 | About this edition: About Sun Tzu The earliest known work on military strategy and war, The Art of War consists of 13 short chapters attributed to a man named Sun Tzu, also known as Sun Tzi or Sun Wu. Product Description: COLLECTORS EDITION. FEATURES REALLY COOL ORNATE FONTS. This edition is complete including the full comentary by Lionel Giles M.A. THIS IS ESSENTIAL MILITARY STRATEGY READING. 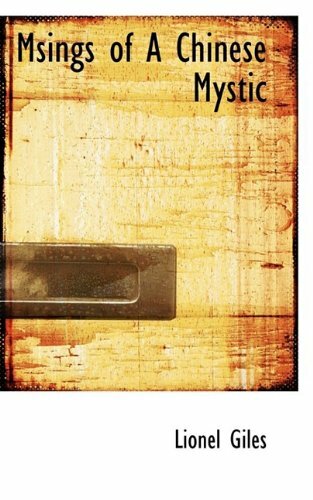 9781441425515 | Reprint edition (Createspace Independent Pub, October 25, 2010), cover price $17.95 | About this edition: COLLECTORS EDITION. 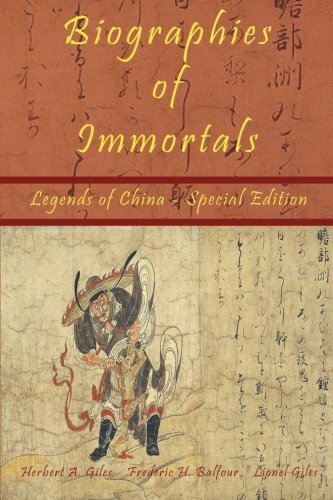 9781934255308 | Special edition (El Paso Norte Pr, February 28, 2010), cover price $15.95 | About this edition: This special edition brings together three classic works by Western scholars of ancient Chinese texts. 9781934255179 | Large print edition (El Paso Norte Pr, August 30, 2009), cover price $14.95 | also contains The Art of War by Sun Tzu | About this edition: "The Art of War" was written in the 6th century BCE by a legendary Chinese general named Sun Tzu. 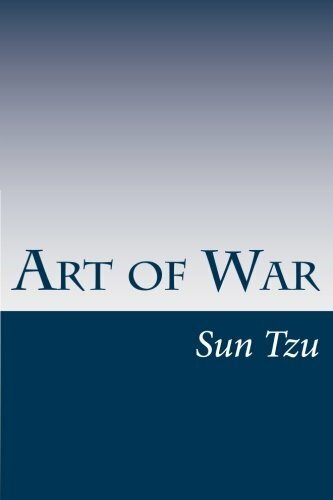 9781934255155, titled "The Art of War by Sun Tzu: Classic Edition" | Reprint edition (El Paso Norte Pr, June 30, 2009), cover price $15.95 | also contains The Art of War by Sun Tzu | About this edition: This collectible edition of "The Art of War by Sun Tzu" presents these timeless instructions regarding military strategy and managing conflict in two complete versions, with over 260 pages of content. 9780976072690 | Special edition (El Paso Norte Pr, March 1, 2005), cover price $19.95 | About this edition: This special edition of "The Art of War" by Sun Tzu presents three complete versions of the classic text: in Chinese, in English, and fully annotated. 9781934255124 | Special edition (El Paso Norte Pr, June 30, 2007), cover price $29.95 | About this edition: This special edition of The Art of War by Sun Tzu presents this timeless classic in two forms: Section I contains the complete thirteen chapters of Sun Tzu's masterpiece in Chinese, with the facing page English translation by Lionel Giles, without notes or commentary. 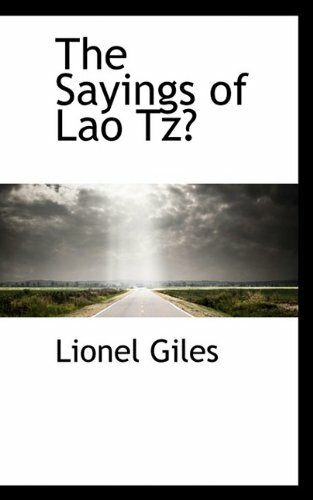 The Sayings of Lao Tz? 9781110593804 | Bibliolife, June 30, 2009, cover price $16.75 | About this edition: This is a pre-1923 historical reproduction that was curated for quality. 9781110518210 | Bibliolife, June 30, 2009, cover price $19.75 | About this edition: This is a pre-1923 historical reproduction that was curated for quality. 9780559131493 | Bibliolife, April 30, 2009, cover price $18.99 | About this edition: This is a pre-1923 historical reproduction that was curated for quality. 9781104418663 | Kessinger Pub Co, April 30, 2009, cover price $34.95 | About this edition: This scarce antiquarian book is a facsimile reprint of the original. 9781104380526 | Kessinger Pub Co, April 30, 2009, cover price $19.95 | About this edition: This scarce antiquarian book is a facsimile reprint of the original.